University of Virginia Library Online Exhibits | J.E.B. Stuart General Orders. 1863 March 12. J.E.B. 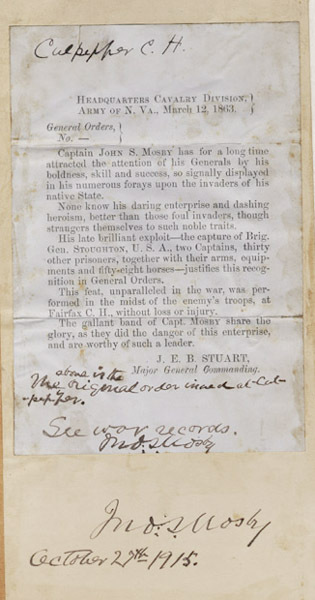 Stuart General Orders. 1863 March 12. “J.E.B. 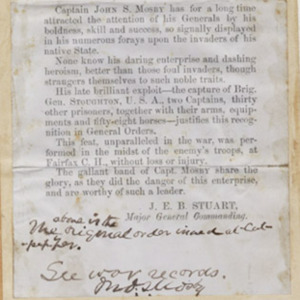 Stuart General Orders. 1863 March 12. ,” University of Virginia Library Online Exhibits, accessed April 26, 2019, https://explore.lib.virginia.edu/items/show/2248.